With Subscriptio you're in control of which user or group uses which signature and when they use it. 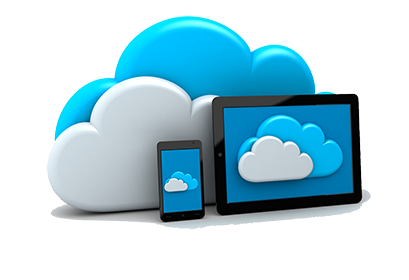 All this is done through a smart cloud based email signature management solution: Subscriptio. 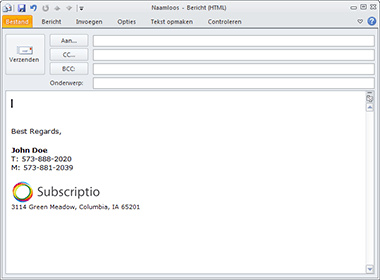 For locally installed email clients the solution goes with a small application called the Subscriptio Connector. It's easy to setup up. If you want to try, just create an account and you're up and running in 10 minutes. And that's the best way to get to know Subscriptio. With Subscriptio you can manage all emailsignatures in your business, easily from one place. Professionally and completely in the style of your organization. This way you secure your corporate appearance. No more emails without signature or signatures that mismatch your branding. Read more about e-mail signature. With Subscriptio you can transform every e-mail into a marketing tool. Promote a new product or wish your customers a merry Christmas in every email sent by every user from Outlook, Exchange webmail, Office 365 or mobile devices. Simply create a campaign and your message will appear in the email signature in every email.